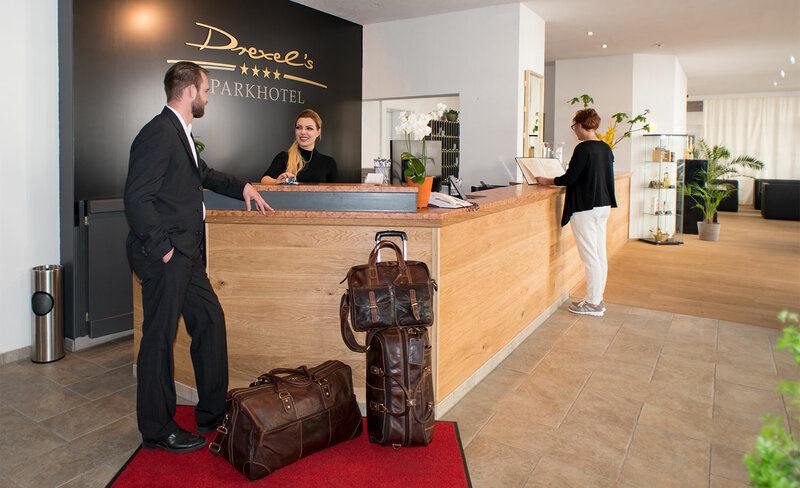 The Drexel’s park hotel is located in the heart of the nice Old Town of Memmingen, one of the oldest towns of Germany. You stay quietly at the nearby idyllic city park. You reach the centre with numerous cafés, restaurants and shops in five minutes by walk. Discover medieval buildings, baroque churches, comfortable alleys, the town wall with her gates on foot starting at our hotel. The ideal traffic binding make the journey easy for you no matter whether if you arrive by car, by train or the airplane (Allgäu airport Memmingen). Find out our inviting hospitality and enjoy lighthearted days in our house.